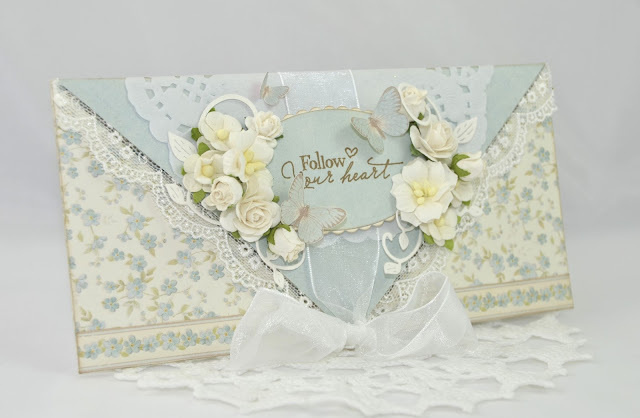 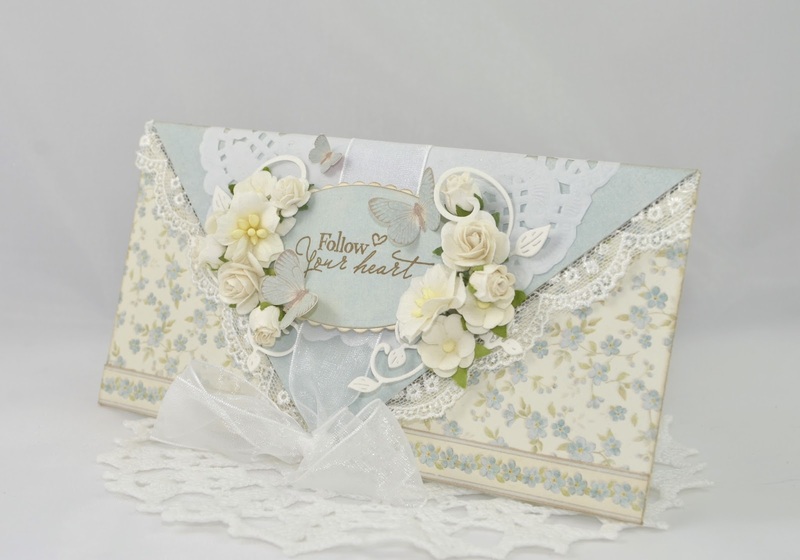 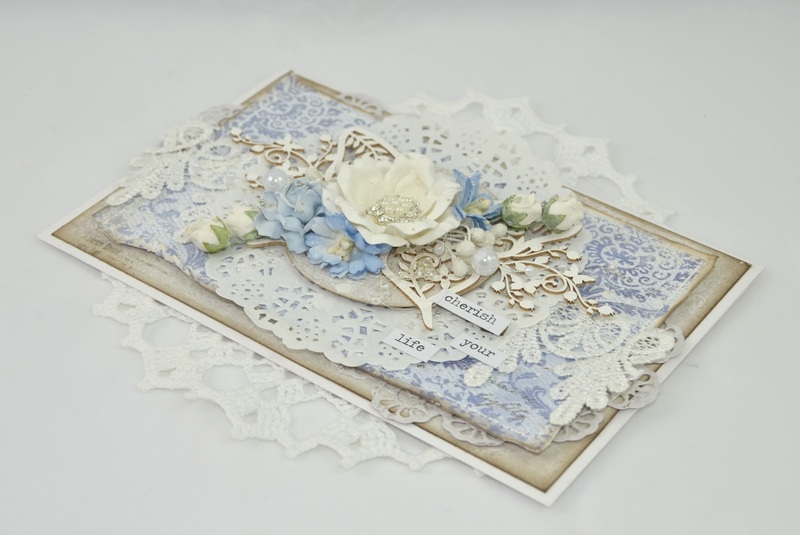 The Live & Love Crafts shop has a huge amount of Wychinanka chipboards and laces, and I just Love them all! 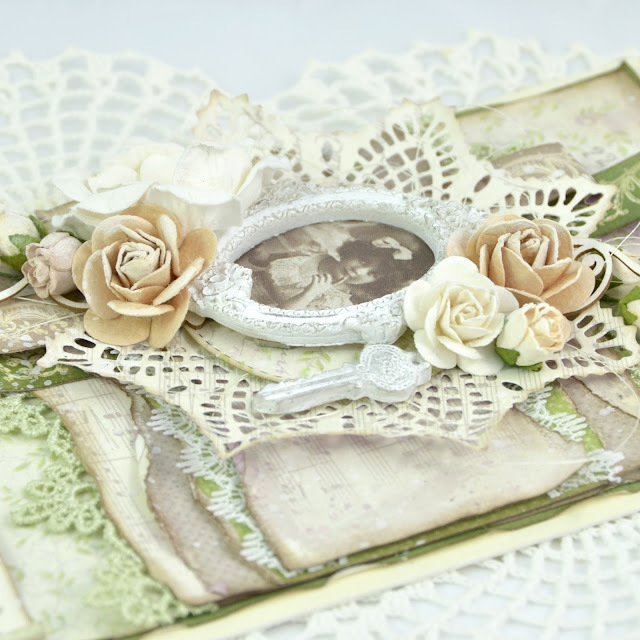 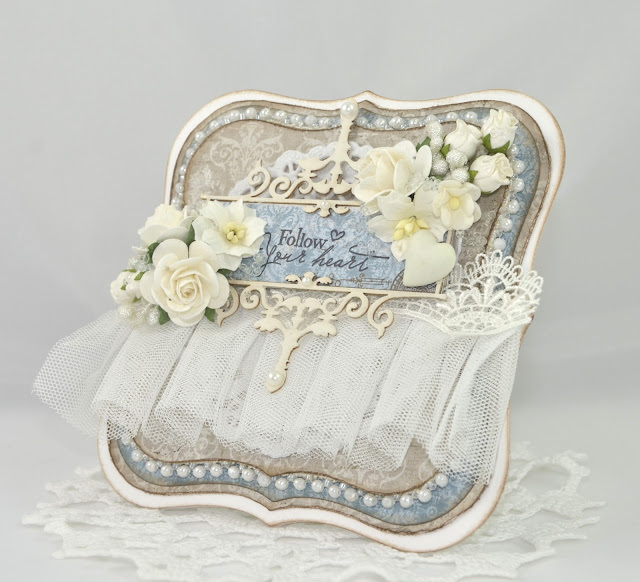 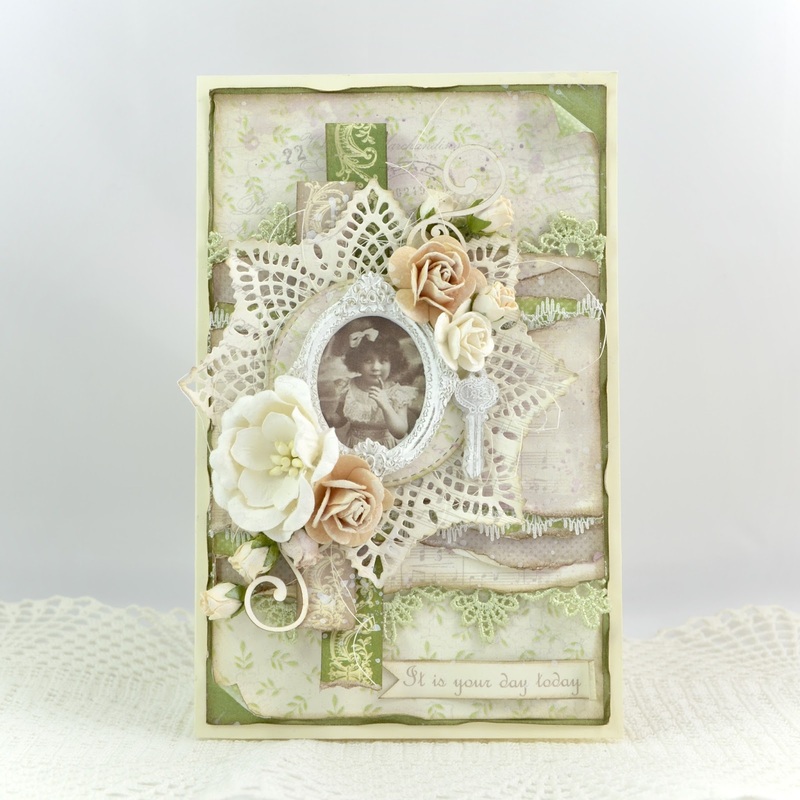 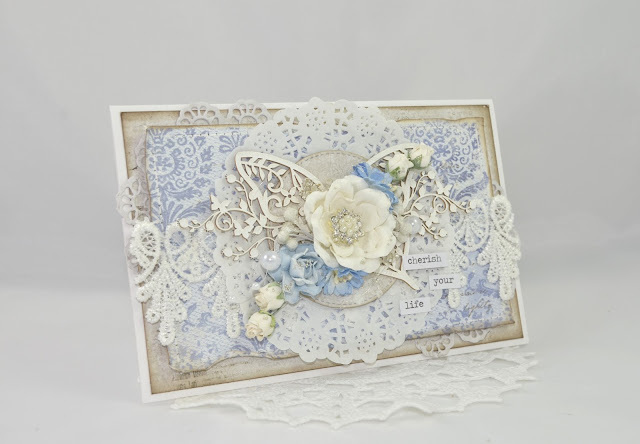 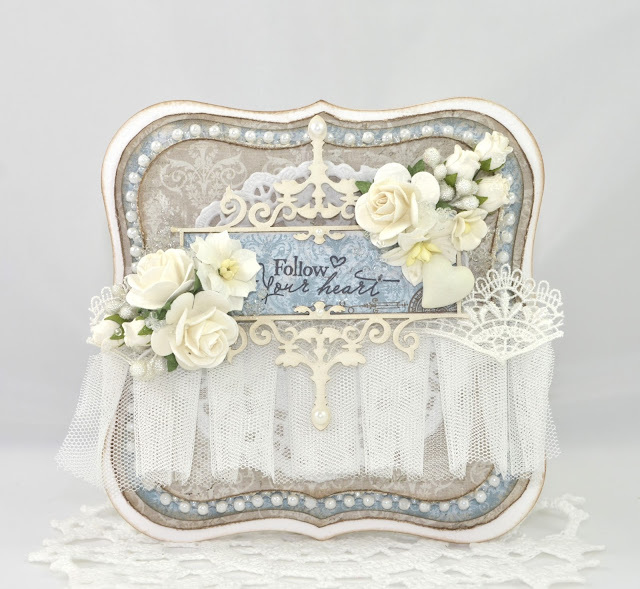 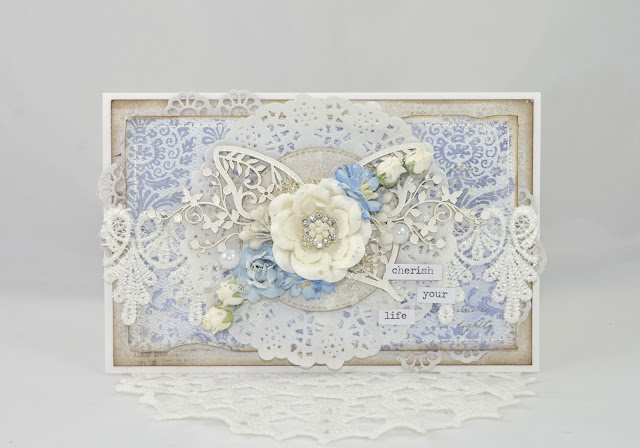 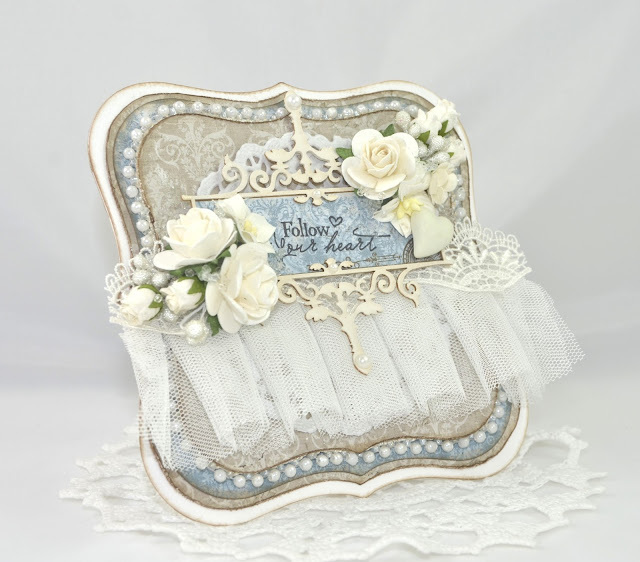 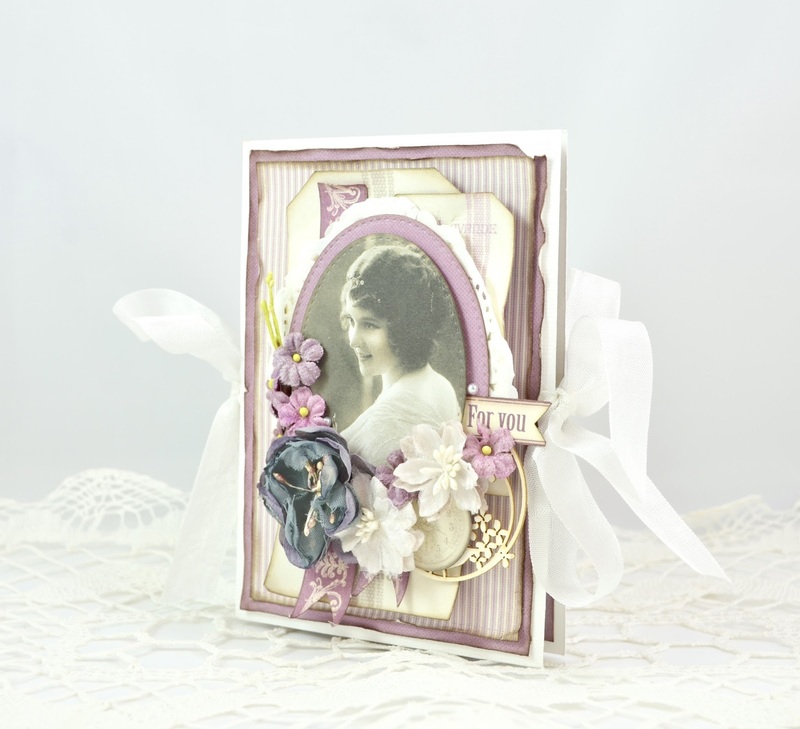 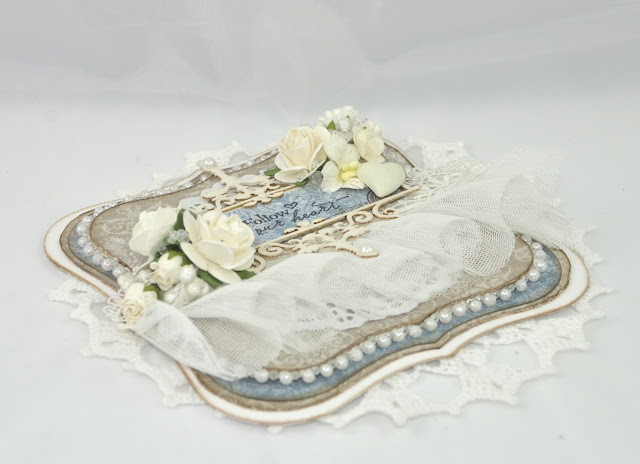 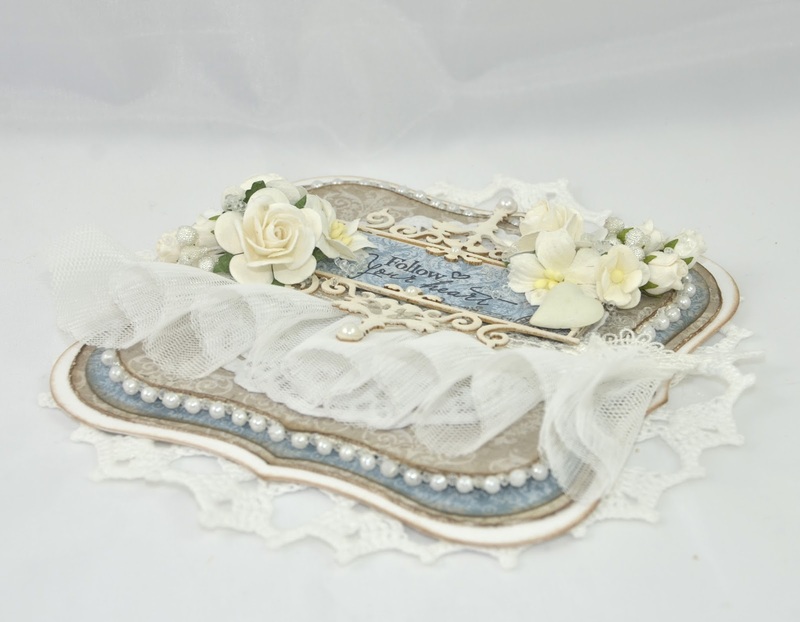 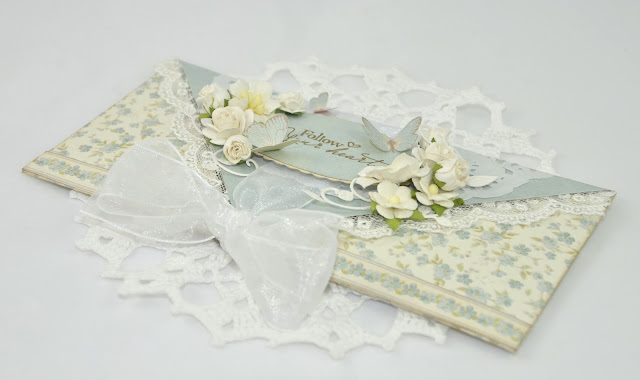 So today I would love to show you a card made with one of Wychinankas gorgeous frames and some lovely laces. 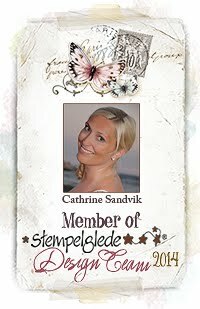 I have stamped a sentiment from Stempelglede and framed it with the chipboard. 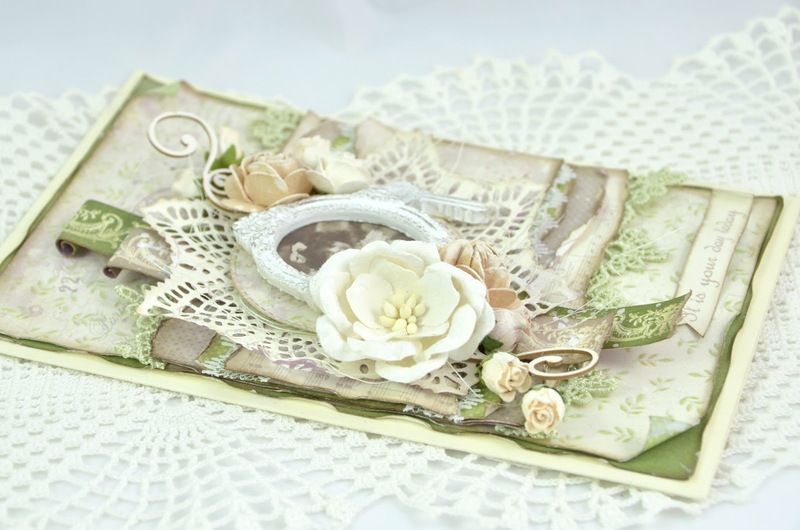 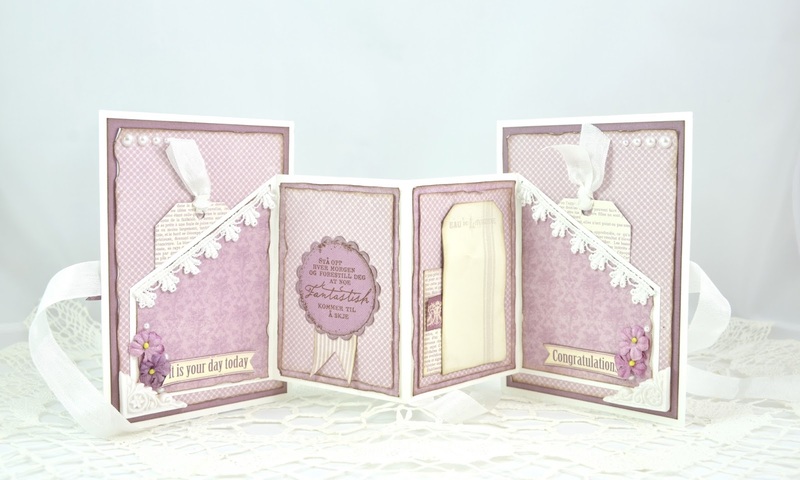 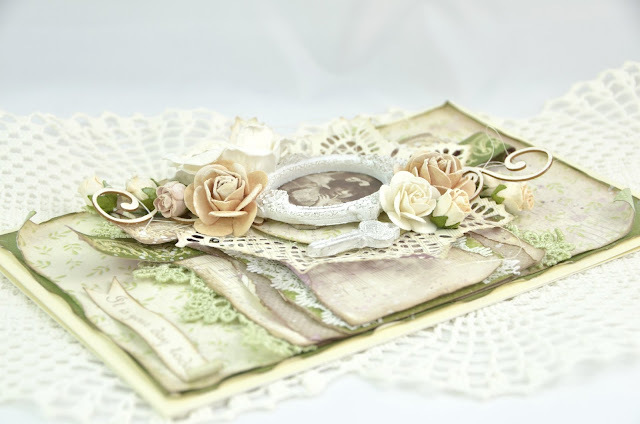 The papers are from Maja Design and the flowers are from Wild Orchids Craft. Wycinanka Chipboard - Frame "Wuthering No.1"
Just popping by to give you a preview of the new Christmas collection from Pion Design. I can't wait to show you more!!! 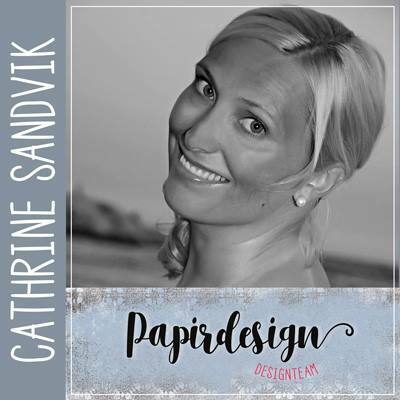 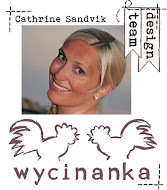 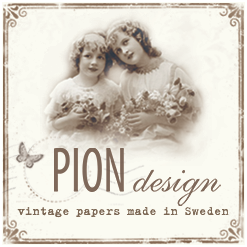 I am so trilled to be a member of the amazing Pion's Design Team! 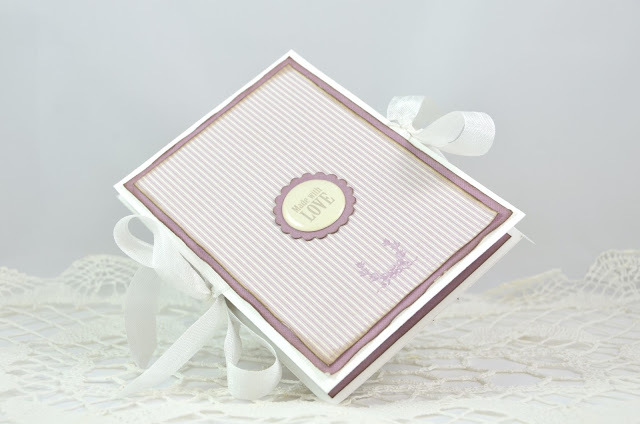 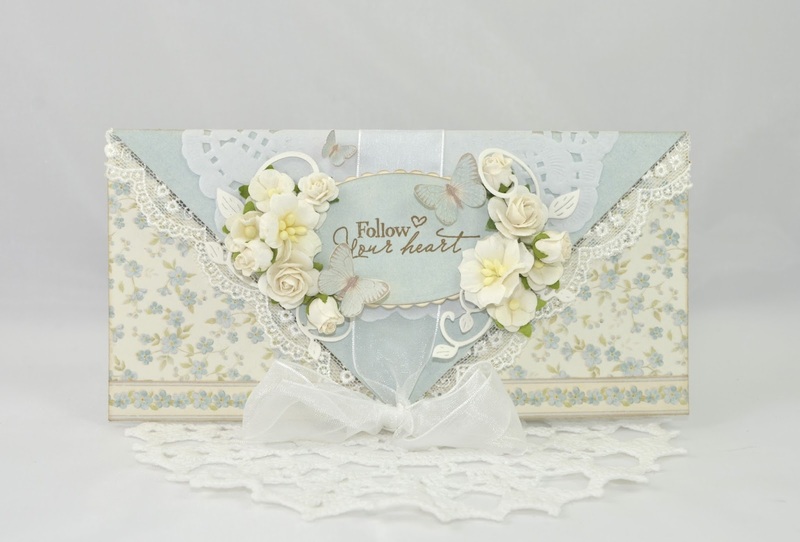 This card is made with Pion's collection called "Easter Greetings", and I love it! The flowers on this card is from "Wild Orcid Crafts" and I have used a chipboard swirl from "Wychinanka". 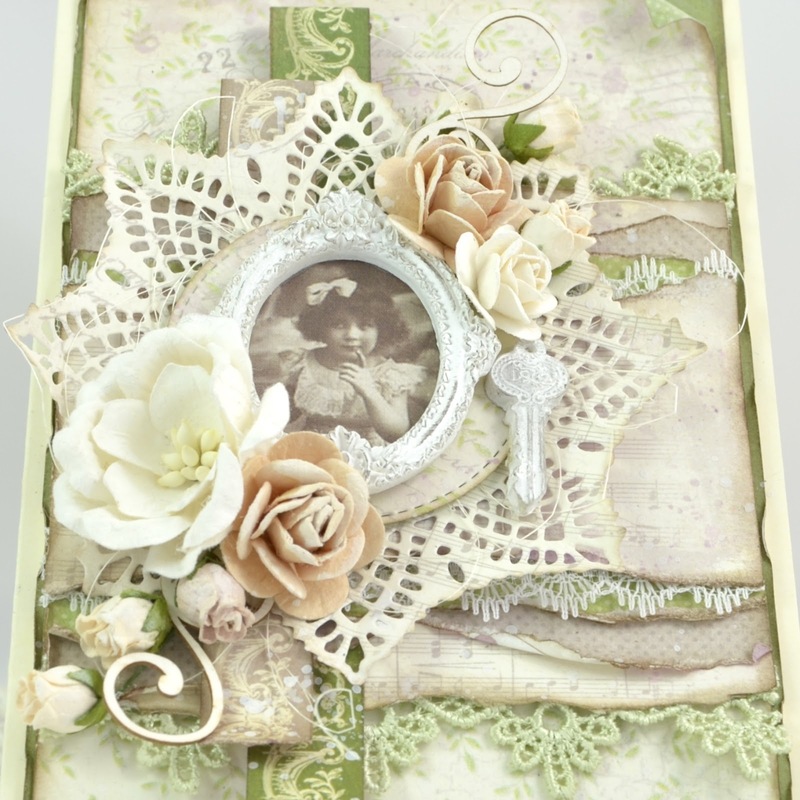 The resin frame is from Prima, and the key is from "Melissa Frances". 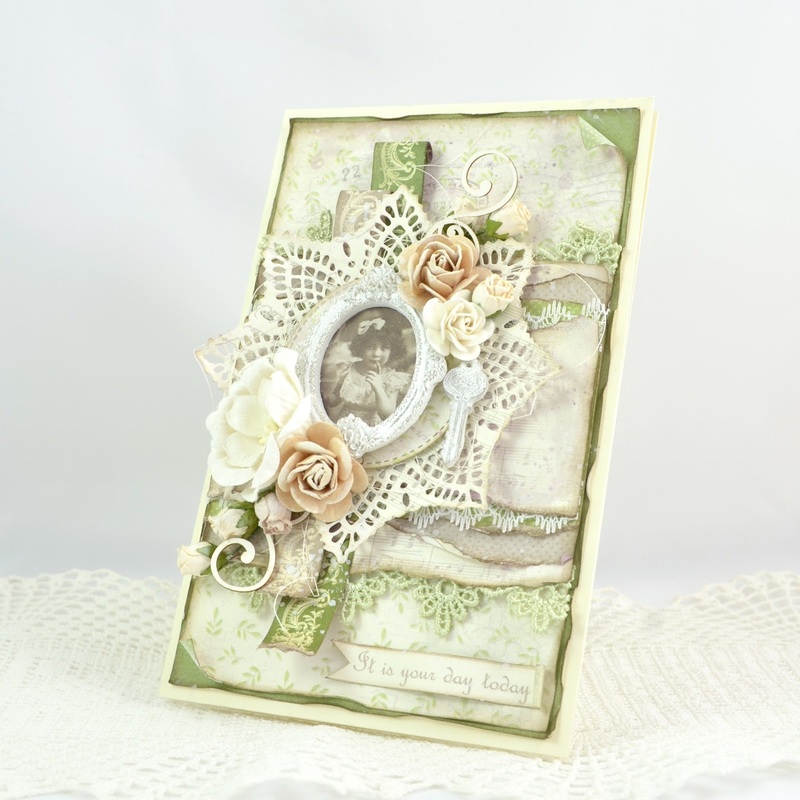 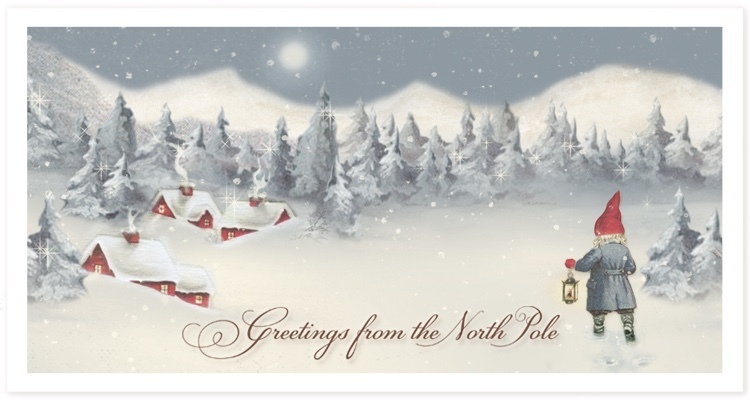 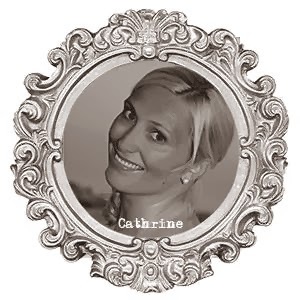 Thank's for stopping by my blog! 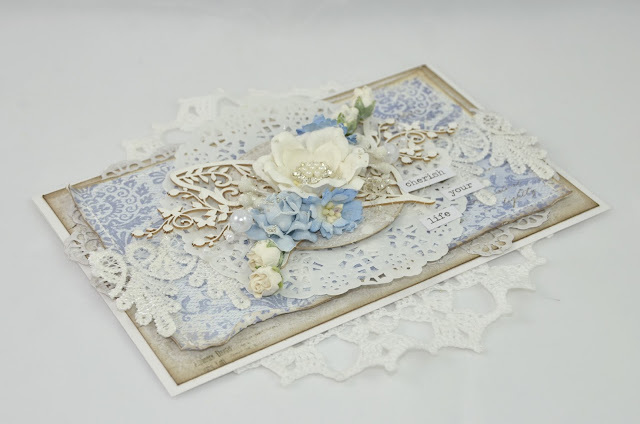 I have a envelope card to show you today. 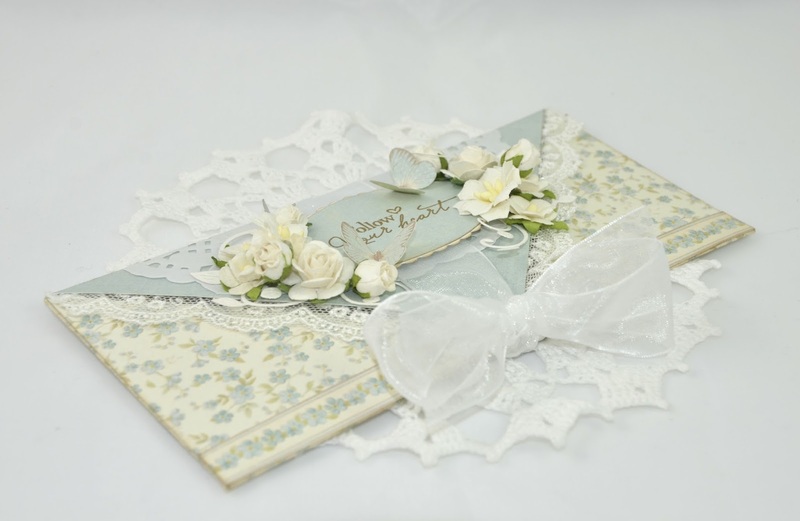 The papers I have used is from Pions lovely paper collection called "Easter Greetings". The stamp is from Stempelglede and is called "Follow your heart". 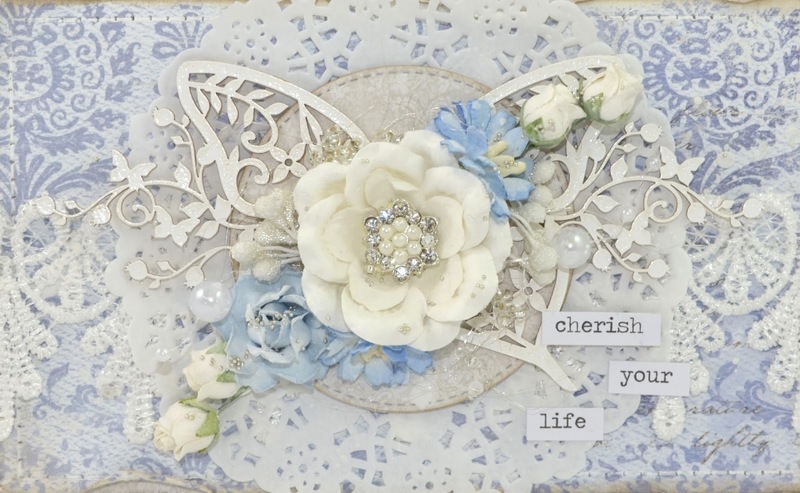 This text is one of my favorites! 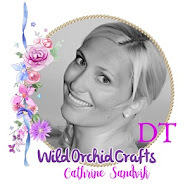 The flowers is from "Wild Orcid Crafts" and the swirl die is from "Cherry Lynn". I have used the gorgeous collection "Scent of Lavender" from Pion Design. 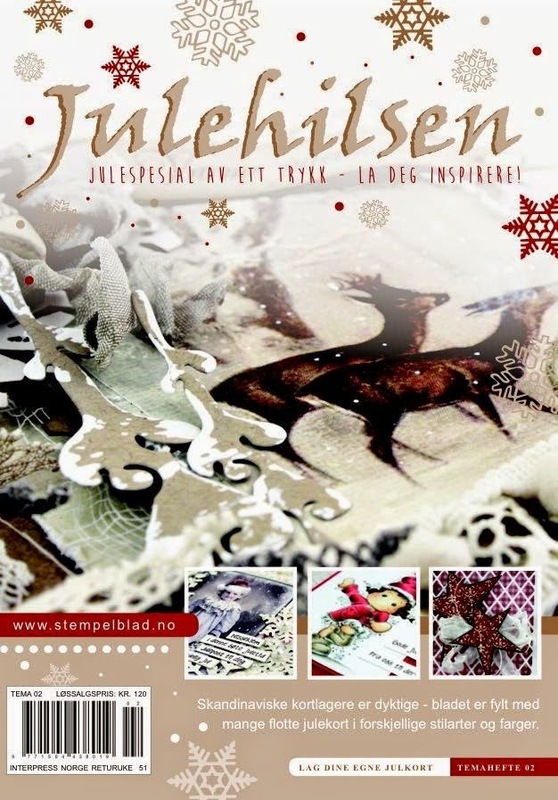 The stamp is from Stempelglede and is called "Følg hjertet ditt". 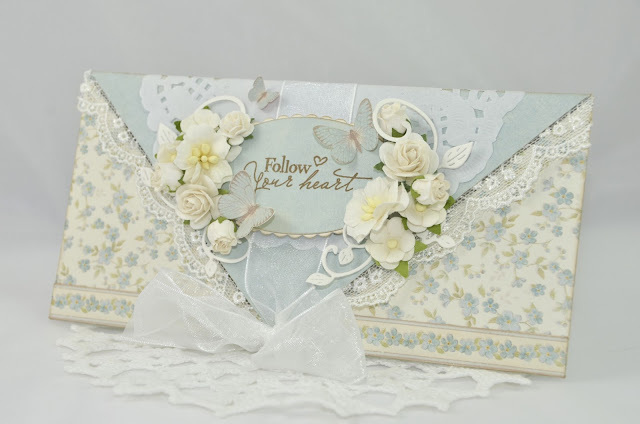 This stamp sheet comes with english texts to and is called "Follow your heart". I have used flowers from Prima and a chipboard from Wychinanka. 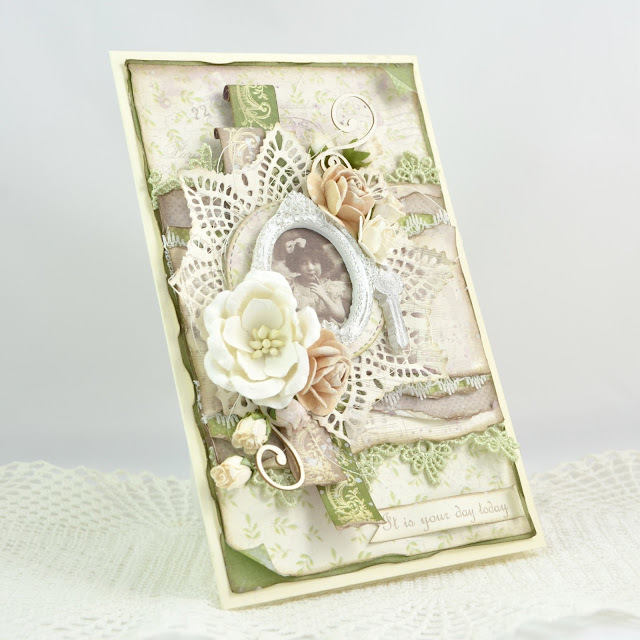 I would love to show you a card that I made for Live&Love Crafts. 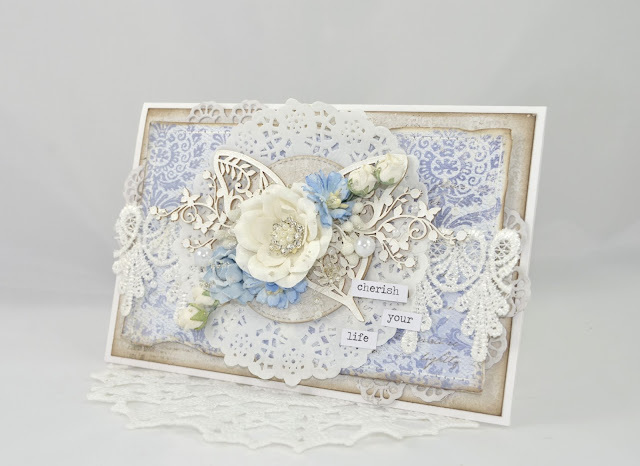 I've made it with Maja Design papers, and decorated the card with laces, chipboards from Wychinanka, and flowers from Wild Orcid Crafts. In the midle of the magnolia flower I've placed a cute button with pearls and bling! Love love love it! I have also drawn with my white gel pen a dotted line around the patter paper.